If you have answered Yes to 1 or more items in the checklist below, this may indicate an opportunity to improve the growth, development and function of your loved one. Why: At rest (when not eating or speaking, etc. ), our mouths should be closed with lips sealed. If mouths are open routinely, it increases the tendency to mouth breathe. Learn more about the importance of nasal breathing. 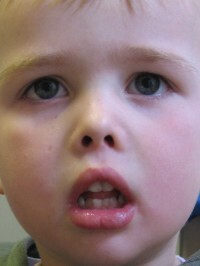 Why: There are many possible reasons for picky eating, however one that must not be overlooked is if the child has a mouth-breathing (open mouth) tendency, commonly seen in conjunction with a restricted/tethered tongue (tie) and/or compromised tongue thrust swallowing pattern. 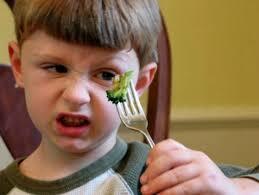 In this case, the child will tend to prefer a soft food diet that does not require much chewing as it is very challenging to breathe and eat with our mouths (humans are designed to breathe through our noses and eat with our mouths). Recall the last time you were sick with a congested nose, your diet too, likely consisted of soups, eggs, and soft foods. 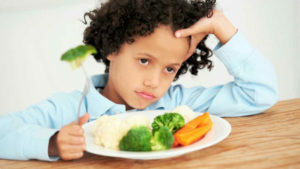 Another possibility is if the child’s diet following 6 months was limited to soft foods that did not require the use of their muscles for chewing, they may develop a preference towards these foods. Why: Although there are various possibilities for hyperactivity, one must understand that this is a common feature of children whom are over-tired, and may be showing signs of breathing disordered sleep (i.e. mouth breathing, snoring, obstructive sleep apnea, etc.). Young children are not able to comprehend being over-tired, and instead may demonstrate hyperactivity and an inability to focus or concentrate. Older children, teenagers and adults differ, as they are able to understand when they are tired and act accordingly. For example, think of when you drive late at night and are feeling tired. In order to stay awake, you might turn the volume up on the radio, roll down the windows and/or move around. 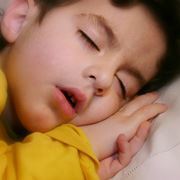 This is precisely what younger children are doing when they are overtired, but many times do not know how to stop. Why: Amongst a list of possible causes that includes stress, etc. Regular nightmares or night terrors may also be an indication that the child’s sympathetic nervous system (fight or flight) is being activated causing a macro (large) arousal (that will awaken the child) in attempt to re-establish and maintain their airway (breathing). We must remember that the number one goal of our bodies is to keep us alive – keep us breathing; therefore if there is any airway compromise while asleep, our bodies will be triggered to awaken. If this is occurring on a regular basis, your child may not be achieving consistent deep sleep with full muscle relaxation (parasympathetic nervous system – rest and digest activation) that is necessary for their optimized growth and development. 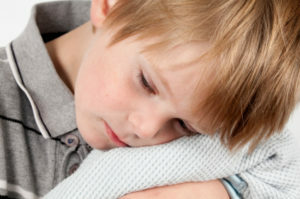 Why: Amongst a list of possible causes, bedwetting may also be an indication that the child’s sympathetic nervous system (fight or flight) is being activated causing a macro (large) arousal (that will awaken the child) in attempt to re-establish and maintain their airway (breathing). We must remember that the number one goal of our bodies is to keep us alive – keep us breathing; therefore if there is any airway compromise while asleep, our bodies will be triggered to awaken. If this is occurring on a regular basis, your child may not be achieving consistent deep sleep with full muscle relaxation (parasympathetic nervous system – rest and digest activation) that is necessary for their optimized growth and development. 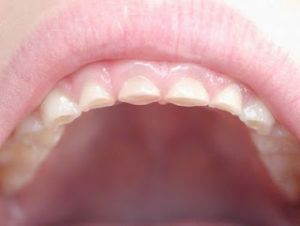 Why: If a child’s tongue rest posture and function are optimized along with lips sealed and nasal breathing, their palate (roof of mouth) will likely develop to be flat and wide, allowing for adequate space for teeth to erupt (without crowding). However, if one of these elements is not followed (i.e. tongue resting low in the mouth, compromised tongue thrust swallow, open mouth tendency and/or mouth breathing), the palate (roof of mouth) will likely develop to be narrow, high arched (can fit a thumb up) without adequate space for teeth to erupt, resulting in crowding. 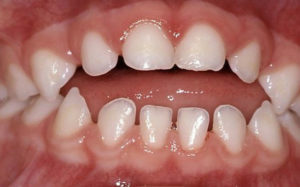 The same compromised elements may also lead to the presentation of an anterior open bite (as seen in the picture), where there is a space between the front upper and lower teeth. 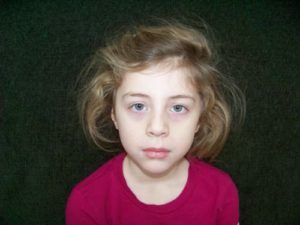 Why: Teeth grinding, restless sleep and/or sweating heavily can all be possible indications that the child’s sympathetic nervous system (fight or flight) is being activated causing micro (small) arousals (that typically do not awake the child) in attempt to maintain their airway (breathing). If this is occurring, your child may not be achieving consistent deep sleep with full muscle relaxation (parasympathetic nervous system – rest and digest activation) that is necessary for their optimized growth and development.